We wish to deliver our optimum quality products to clients all over the world. We strongly believe that a good product speaks for itself and does not require any sort of marketing. Our focus on delivering an exceptionally vast range of superior quality products as well as the provision of timely service has helped us to establish our supremacy in the market. As pioneers in the manufacture of Corona Discharge Treaters and Induction Cap Sealers in India, we have been involved in developing new and improved technologies by carrying out several innovations on a regular basis. Basically, Liner consists of Backing and Aluminum Seal layer, and those two layers are attached with wax. After capping a container which Induction Liner is inserted, we seal it by using Induction sealer. Then, attached layer with wax is absorbed in paper board of the backing, leaving Sealing layer including Aluminum to be sealed and separating Backing layer in a cap. 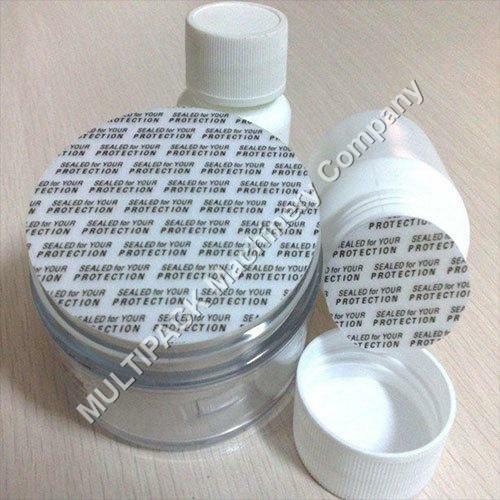 Application: Drugs - Pharmaceuticals - Windshield Washer Solution - Anti freeze, Motor Oils, Gasoline Additives, Household cleaner, Insecticides, Herbicides at Screw cap, One touch cap, etc. a.) Two pieces Induction Heat Seal covers a wide range of containers, providing a hermetic seal against leaks, contamination and oxidation. Two-piece liners form a fused seal to containers, which must be cut or pierced for removal, leaving an aluminum seal on the container land area. b.) 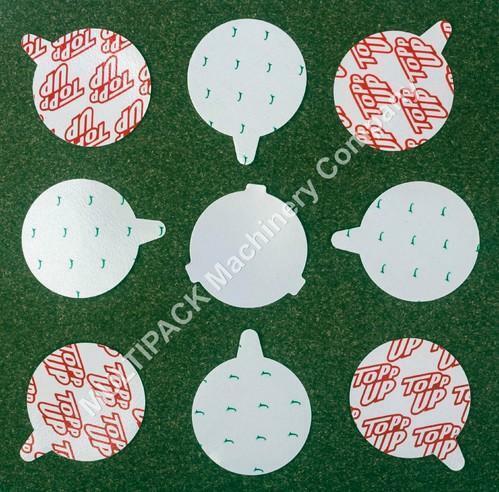 Two pieces Induction liner is used to seal the opening of a plastic or glass bottle with heat seal coating. c.) Basically, Liner consists of Backing and Aluminum Seal layer, and those two layers are attached with wax. After capping a container which Induction Liner is inserted, we seal it by using Induction sealer. Then, attached layer with wax is absorbed in paper board of the backing, leaving Sealing layer including Aluminum to be sealed and separating Backing layer in a cap. 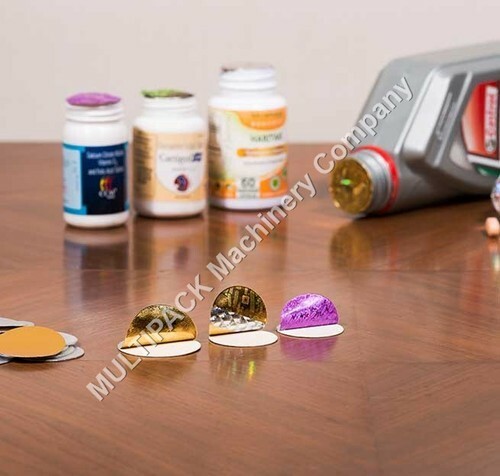 d) Application: Drugs - Pharmaceuticals - Windshield Washer Solution - Anti freeze, Motor Oils, Gasoline Additives, Household cleaner, Insecticides, Herbicides at Screw cap, One touch cap, etc. 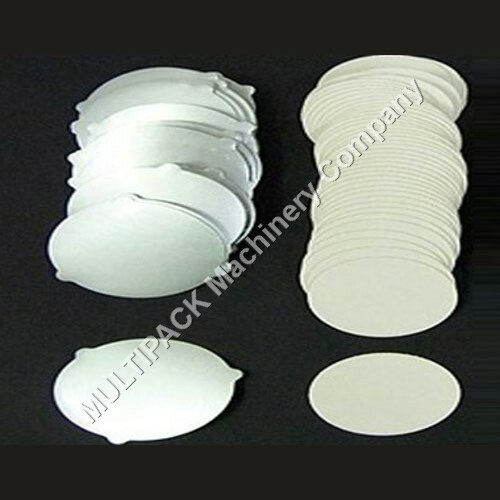 e) Composition note: 2 PC induction seal can be composed with verious materials or plastic substrates and adding different backing materials as this should be sealable at PE,PET,PVC, GLASS, PP, PS etc. Sample available for client test. Induction Wads Our company is instrumental in offering wide variety of Induction Wads which are used in pharmaceutical industry for sealing of syrups and gels. We have made these wads as per the international standards using quality base materials. Due to their excellent qua lity, these wads work as a resistance agent to prevent. 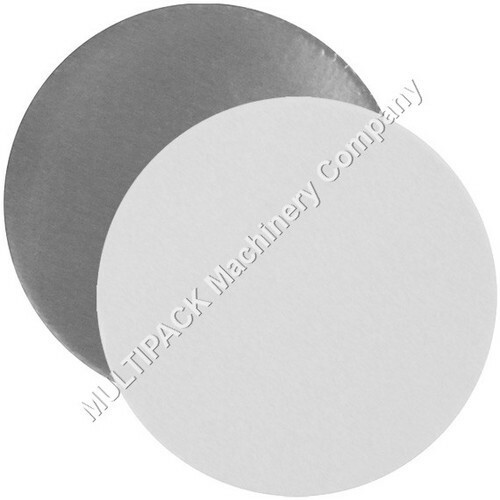 We are a prominent organization, which is engaged in manufacturing and exporting Metal Cap Seals . Offered seals are widely used in liquid containing bottles for preventing these from moisture, dust and other damaging item entering into it. These are made highly appreciated by our valuable clients for their accurate dimensions. Two pieces Induction Heat Seal covers a wide range of containers, providing a hermetic seal against leaks, contamination and oxidation. Two-piece liners form a fused seal to containers, which must be cut or pierced for removal, leaving an aluminum seal on the container land area. Composition note: 2 PC induction seal can be composed with verious materials or plastic substrates and adding different backing materials as this should be sealable at PE,PET,PVC, GLASS, PP, PS etc. a.) 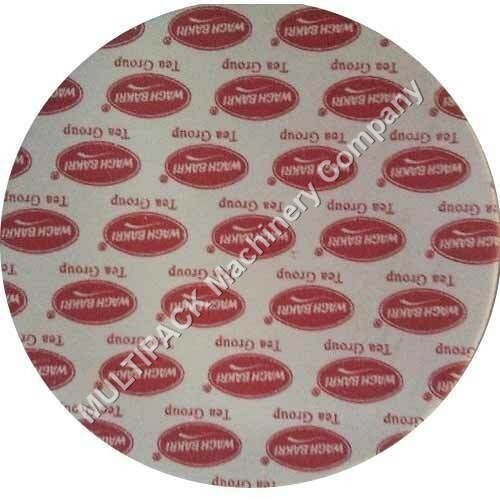 Basically, Liner consists of Backing and Aluminum Seal layer, and those two layers are attached with wax. After capping a container which Induction Liner is inserted, we seal it by using Induction sealer. Then, attached layer with wax is absorbed in paper board of the backing, leaving Sealing layer including Aluminum to be sealed and separating Backing layer in a cap. b.) Application: Drugs - Pharmaceuticals - Windshield Washer Solution - Anti freeze, Motor Oils, Gasoline Additives, Household cleaner, Insecticides, Herbicides at Screw cap, One touch cap, etc. c.) Composition note: 2 PC induction seal can be composed with verious materials or plastic substrates and adding different backing materials as this should be sealable at PE,PET,PVC, GLASS, PP, PS etc. 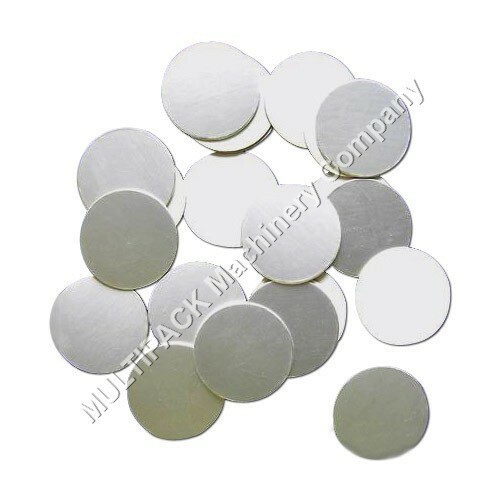 Looking for “Induction cap seal liner Manufacturers”?